CRESCENDO-"Celebrating Arts, Culture and History: The Heart and Soul of the Lowcountry.” Sponsored by the Arts & Cultural Council of Hilton Head, October 2017. CRESCENDO-THE Inaugural ANNUAL Arts, Culture and History Celebration, sponsored by the Arts & Cultural Council of Hilton Head (ACCHH), will be held throughout October 2017. This regional event, organized in honor of National Arts and Humanities month, highlights and showcases the vast array of arts, culture and history organizations, individual artists, performers, and authors residing and working in the Hilton Head/ Bluffton area. Join the celebration and honor the importance of arts and culture in America and our local community. The October 2017 CRESCENDO Celebration features more than 50 unique arts and cultural programs, concerts, theatrical productions, museum and gallery exhibits, lectures, poetry readings, dance performances, historical tours, hands-on arts experiences, and educational offerings which are estimated to attract more than 10,000 people from all over the United States, Canada and parts of Europe. The Arts & Cultural Council of Hilton Head coordinates, promotes, communicates, and showcases arts and cultural organizations and businesses in the Hilton Head area for the purpose of creating an arts destination, enriching the quality of life, and speaking with one voice on cultural issues. Membership is open to non-profits and for-profit entities in Southern Beaufort County that support the mission of the ACCHH. 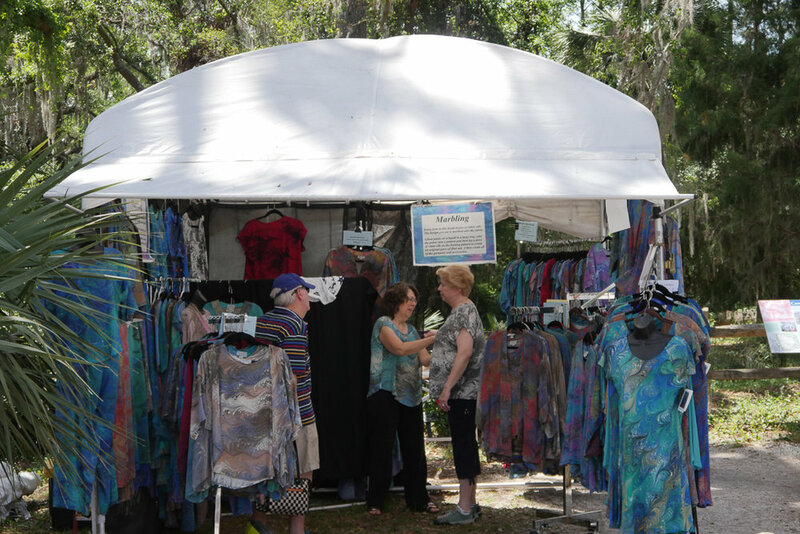 Currently, thirty-five arts, cultural and history organizations as well as individual artists in the Hilton Head/Bluffton area make up the diverse membership. For event or membership information, please go to www.hiltonheadartsdaily.org or contact Arts & Cultural Council President Natalie Hefter by email at nhefter@coastaldiscovery.org. or 843-689-6767 x 225. For media requests please contact Linda Bloom by email at bacartcon@aol.com. The Wizard of Oz is a musical commissioned by the St. Louis Municipal Opera (The Muny) based on the novel, The Wonderful Wizard of Oz by L. Frank Baum and the 1939 film, The Wizard of Oz and using the film's songs by Harold Arlen and E.Y. Harburg. The book of the musical is by Frank Gabrielson, who would later write an adaptation of The Marvelous Land of Oz for Shirley Temple (1960). Debuting as Director is Dan Brown who performed in many MSYT productions. Musical Director is Philip Paluszak who has a magnificent music background is coming to MSYT as a guest artist. And rounding out our crew, Jodi Layman who has a long association with MSYT will choreograph this show. A teenage girl, Dorothy (double cast played byEllie Lentz and Jacey Robinson), lives on a farm in dreary Kansas with her Uncle Henry ( played by Dakota Jimenez) and Aunt Em (played by Kerry Gudaitis) dreaming of faraway places ("Over The Rainbow"). One day the farmhouse, with Dorothy inside, is swept off by a tornado to Munchkin land in the Land of Oz. The falling house kills the cruel ruler of the Munchkins, the Wicked Witch of the East. The Munchkins and the Sorceress of the North greet Dorothy ("Ding-Dong! The Witch Is Dead" and "Munchkinland"). The Sorceress tells Dorothy that she will have to go to the Emerald City to ask the great Wizard of Oz to help her return home. We follow Dorothy down the yellow brick road to the Emerald City. Dorothy meets along the way the Scarecrow (played by Grant Grace), the Tinman (played by John Rosenblum) and the Lion (played by Ethen Cornett). The show runs June 21 - 24 and June 28-July 1 at 7:00 pm, June 25 and July 2 at 2:00 pm at the HH Prep School Main Street Theatre, 3000 Main Street, Hilton Head Island. Tickets are $25 for adults and $15 for students. June 22 is THRIFY THURSDAY, Adults $15 and Students $10. Group Rates available by calling the Box Office. There is a $1 ticket fee charged per ticket for a credit card transaction. Avoid the ticket fee by purchasing online at www.msyt.org. Main Street Youth Theatre is a nonprofit 501( c) 3 celebrating 20 years of putting young actors in the spotlight. For more information about MSYT go to www.msyt.org. Follow us on FaceBook and Instagram for pictures and more about this fun, family friendly show. The Clean House Pub Edition from Jean-Marie Cote on Vimeo. A whimsical comedy centering on an earthy young Brazilian housekeeper who’d rather be doing stand up comedy than cleaning bathrooms for her uptight employer. Off-beat humor impromptu arias, wacky poetry, and romance spice big themes of love and loss. A charming little boat has moored on Hilton Head Island, and he may become the most well-known traveler on our waters. A children’s book, Scoot’s New Home was a top seller at the recent Heritage Library and Bluffton Book Fairs. One peek inside proves little Scoot’s popularity well-deserved. A happy little boat who makes friends and faces his fears, Scoot provides inspiration and a tour of Hilton Head to both natives and visitors. Author Ann Eilers Lilly moved to Hilton Head Island from Kentucky sixteen years ago. She has been writing and sharing stories ever since. Lilly discovered Scoot in a leaky old boat her husband purchased. Skeptical it would even float, she found joy and solace on the water, and a character she could bring alive. Scoot signals a departure for Lilly. Here, she follows her unique perspective and imagination and brings children into her world. Her first published nonfiction, two humorous stories about family hijinks, appears in Island Writers’ Network’s Time and Tide. Lilly works as a licensed broker associate for Charter One Realty. When she is not working, she enjoys the water on Scoot. Sixteen original watercolors by her equally artistic brother, Steven Eilers, illustrate recognizable Lowcountry panoramas and landmarks. Eilers lives in Louisville, Kentucky, where he retired from owning and operating a graphic design studio. His work can be found in the American Folk Art Museum in Atlanta and galleries from Hilton Head Island to San Francisco. When not creating art, he writes and performs music with local bands. Scoot’s New Home can be purchased at the Boathouse Marina Store, the Sandbox Children’s Museum, the Coastal Discovery Museum, Gifted, Lettrs, Pyramid--Sea Pines Center, the Lighthouse Shop, Markels, Moonlit Lullaby, Storybook Shop, and the Beaufort Book Store. It’s tricky enough navigating the fast-paced wit and verbal gymnastics of a noisy family’s repartee but for Billy, the only deaf member of his talkative clan, lipreading the nuances is particularly challenging. What’s more no one in his family including Billy knows sign language—a decision his parents made, hoping he wouldn’t feel disadvantaged in a hearing world. Enter Sylvia, Billy’s new girlfriend who much to the family’s dismay, escorts Billy into a new tribe, that of the deaf community. There he learns to sign—an act that turns all their assumptions about how we communicate topsy turvy. The arts community is deeply saddened by the loss of an extraordinary artist and constant supporter of the arts and arts education. Hall of Fame Illustrator, Joe Bowler, Jr., was in his 67th year as a professional artist, selling his first illustration to Cosmopolitan Magazine when he was nineteen. His focus turned to portraits in 1972, when he and his wife Marilyn moved to Hilton Head. Marilynn and Joe Bowler were passionate about elevating the arts experience for the youth and pillars of the Island School Council for the Arts (ISCA), An Evening of the Artsannual fundraiser that has pumped millions of dollars into arts education in local schools. Marilyn died in 2008 and it was always with her in mind that his support of ISCA continued. On September 17, 2016, the highlight of the auction for the 34th year was Joe Bowler's exquisite painting, Blue Mood and very sadly, his last as a contributing artist to the Island School Council's An Evening of the Arts. He will be greatly missed by us all!